bon soir! how was your day? i’ve been working on a couple projects that i’m looking forward to announcing soon! i’m just stopping by to post this pic that just came to my desk just now from a Vogue article about great paris apartments in film. 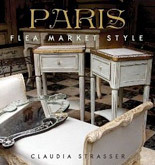 it got me thinking about the paris apartment mystique. what is it about these spaces that is so evocative…even provocative? why does the mere idea of a paris apartment stir the imagination? obviously it’s always been a fascination for me and whether in film or reality, the apartment is as much a dramatic character as a backdrop for drama. but that is a musing for a later date and one i look forward to delving into. but alas it’s 8:20 pm and i made a promise to myself to shut it down. et alors, bonne nuit! May 18, 2018. 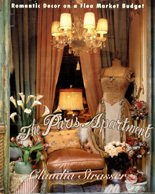 Feminine Apartments, Films, Paris, Paris Apartments. 1 comment. she gives the other courage to see that she has what it takes to be his girl. ‘it happened one night’ is on next. so cute. have a great weekend! February 6, 2016. Films. 2 comments.